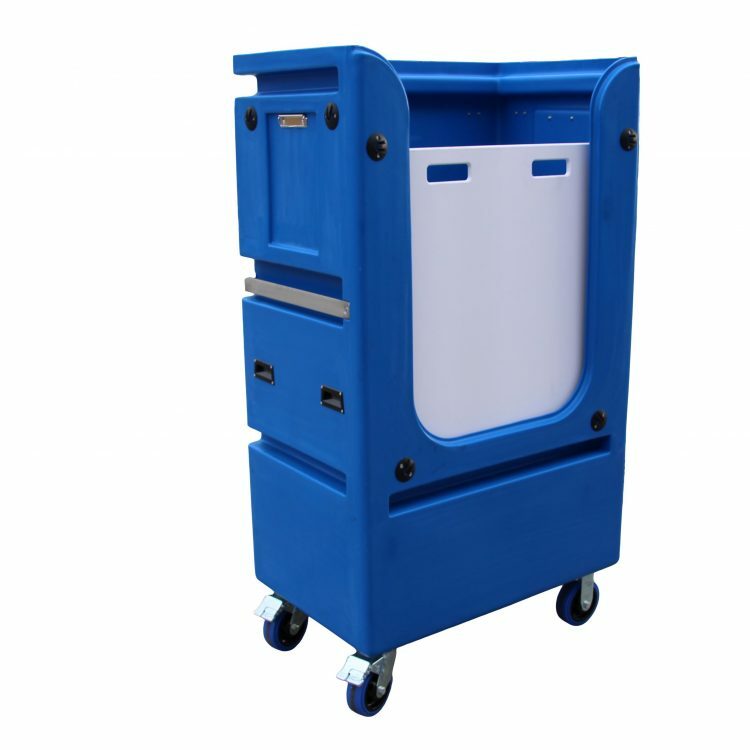 The newest member of the Rotoplas tallboy family, this tallboy soiled linen trolley is the result of another custom designed solution, bringing efficiency and convenience to even more commercial laundries around Australia. Featuring smaller size for easier manoeuvrability and suitability for narrow hallways, this tallboy soiled linen trolley is an extremely user-friendly solution built with innovative design features which allow for easy use as a soiled linen trolley, clean linen trolley, or tallboy linen exchange trolley. Be the first to review “Tallboy Linen Exchange Trolley 8 TLET8” Click here to cancel reply.